← Queen – Escape From The Swamp. 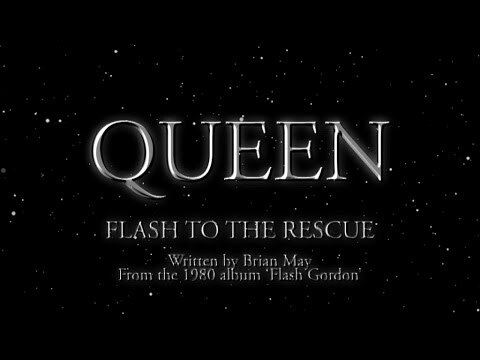 Queen – Flash To The Rescue. Publicat pe 19 august 2015	de Cristi M.
May has had a lifelong interest in collecting Victorian stereophotography. In 2009, with co-author Elena Vidal, he published his second book, A Village Lost and Found, on the work of English stereophotography innovator T. R. Williams.He was awarded The Royal Photographic Society’s Saxby Medal in 2012 for achievement in the field of three-dimensional imaging.May made a significant technical contribution to the book to accompany the exhibition ‘Stereoscopic Photographs of Pablo Picasso by Robert Mouzillat’ held at the Holburne Museum in Bath, UK from February 2014 to June 2014. The book provides a cross-section of photographs of Picasso in his studio, at the bullfight at Arles and in his garden. May’s 3D ‘Owl viewer’ is used to view the photographs in 3D. The purchase of his first card in 1973 started May on a lifelong and world-wide search for Les Diableries, which are stereoscopic photographs depicting scenes of daily life in Hell. On 10 October 2013the book ‘Diableries: Stereoscopic Adventures in Hell’ by Brian May, Denis Pellerin and Paula Fleming was published.